A strategic urban intervention to educate and stimulated urban agriculture amongst children. The ultimate goal of the compost machine, the Green Machine, is the local production of good quality earth for urban agriculture projects, or m² gardens. 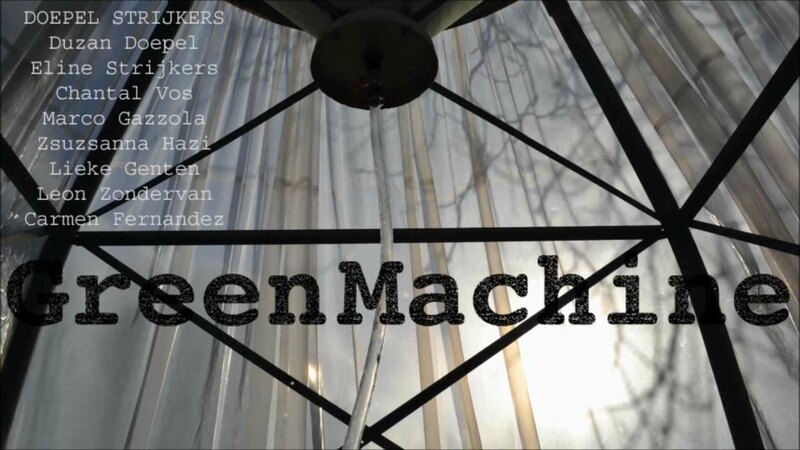 All the ingredients needed for urban agriculture are facilitated by the Green Machine; rainwater collection, rainwater storage, watering, year-round composting, as well as indoor and ground based cultivation. Because worm compost bins are placed in an insulated area, compost can be produced throughout the year, generating fertile soil for cultivation in the warmer months. Doepel Strijkers connects urban agriculture in the Tarwewijk to children. At full capacity the Green Machine achieves an output of compost on a yearly basis that is sufficient for approximately 200 square meters of garden. Surplus compost and food are sold or exchanged by children. The process of ‘collecting waste-composting-planting-harvesting-consuming’ is illustrated didactically by the design of the machine and physically by the children themselves in practice. In the Tarwewijk the collaboration with the S(peel) V(ereniging) Tarwewijk is set up because of the social infrastructure that the playground embodies in this position. Moreover, among the members are owners of allotment gardens. This is the basis for local knowledge centre and production of compost. With the placement of the square meter gardens, the cycle is completed. * Connections between the different neighbourhoods in the Tarwewijk (5). The ‘Green Machine’ is, commissioned by Droog Design for the project WIJkonomie Tarwewijk, designed by Doepel Strijkers and is jointly developed and exploited with Cultureel Denkwerk. The first ‘Green Machine’ is in collaboration with Wijk- en Speeltuinverening Tarwewijk built and installed at their location. GreenMachine 6,72 m2; m2 gardens 20 m2. Rainwater collection, rainwater storage, watering, year-round composting, indoor and ground based cultivation.